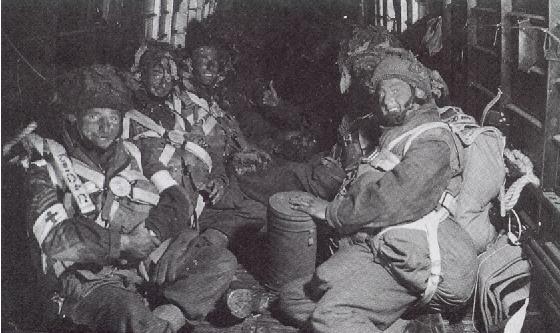 The British 6th Airborne Division was to be dropped to protect the Eastern flank of the landings. The intended zone for this parachuting carried out at night is between the river Orne and the river Dives. In the South the limit is marked by the forest of Bavent. The objectives are to occupy, secure and hold a bridgehead on the eastern flank of the landing. They are also to protect the landing on SWORD BEACH and to prevent the German from counter-attacking from the east. The missions of the 6th Airborne are numerous. The mission is to capture and hold the two bridges over the river Orne and the canal. It is also to destroy the Merville battery and five bridges over the river Dives, and to establish a defensive line from the ridges in the south of Ranville to Le Mesnil. D Company of the 2nd Battalion Oxf and Bucks, platoon of the 249th Field Company. Their mission is to seize the two bridges on the Bénouville canal and over the river Orne in Ranville, to prevent their destruction and to hold them until the relief troops arrive. 9th Para Battalion, 1st Canadian Battalion. 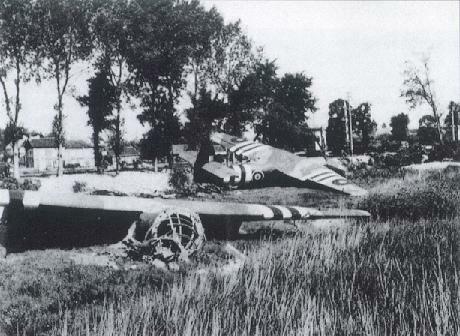 They were asked to destroy the Merville battery, the Varaville bridge over the Divette and the Robehomme bridge over the river Dives. 8th Para Battalion. They are in charge of destroying the bridges over the river Dives in Troarn and in Bures-sur-Dives. 7th Para Battalion, 13th Para Battalion, 12th Para Battalion. Their mission is to strenghten Major Howard's men on the bridge over the river Orne and on the canal. It is also to clear and secure the LZ "N" for the gliders and to establish a defensive zone on the Southern flank. First wave of the gliders (to arrive LZ at 0330 hrs) and operation Mallard (to arrive LZ at 2100 hrs). 6th Airlanding Brigade. Operation Mallard (to arrive LZ at 2100 hrs) . It is 2300 hrs when six Halifax planes take off from the Tarrant Rushton airfield. They tow six Horsa gliders with major Howard's men inside. In the same time the Albermales carrying the pathfinders of the 22nd Independent Parachute Company takes off from Harwell so as to mark out the future DZs of the division. 0016 hrs : The first glider of the "coup-de-main" lands close to the Bénouville bridge. Within 15 minutes, the Oxf. and Bucks men seize the bridges and neutralize the destruction mechanism whose charges are not in position. It does not go so well for the pathfinders. The strong wind and errors of drop lead to the desorganization of the sticks. The markers are lost and some sticks are not on the DZ they were assigned to. These errors will have an effect on the drops of the division that will occur 30 minutes later. While the planes of the division are approaching the Normandy landing zones from 0050 hrs, the weather conditions lead again to a scattering of the sticks. Many men are dispersed away from their intended DZ or are in the flooded marsh of the river Dives and eventually drown. In spite of those scatterings, the men gather and go off to carry out their missions.The 9th Para Battalion of Lieutenant Colonel Terence Otway seize and destroy the Merville battery at the price of heavy losses. The men of the 8th Para Battalion and of the 1st Canadian Parachute Battalion destroy the five bridges over the river Dives to isolate the Eastern flank of the landing. In the early afternoon the men of the 1st Special Service Brigade, who landed in the morning on Sword Beach, link up with the 7th Para Battalion and Major Howard's men. 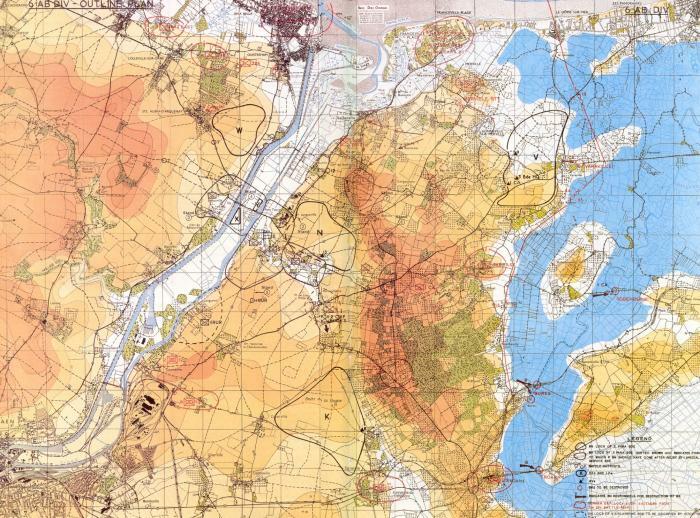 In the South a defensive line is established in Bas-Ranville and in Le Mesnil on the edge of the forest of Bavent. In the evening of the first day on the French soil, the bridges over the Orne and the canal are in British hands, the Merville battery is neutralized, the bridges over the Dives are destroyed and the Eastern flank is isolated. After hard fightings most of the 6th Airborne's objectives are thus reached at the end of June 6th. During the next few days the 6th Airborne will set out to establish and strengthen a defensive line on the Southern flank with fierce fightings, particularly around Bréville-les-Monts. This war of position will last until August and until the breakthrough to the Seine.